Boo! 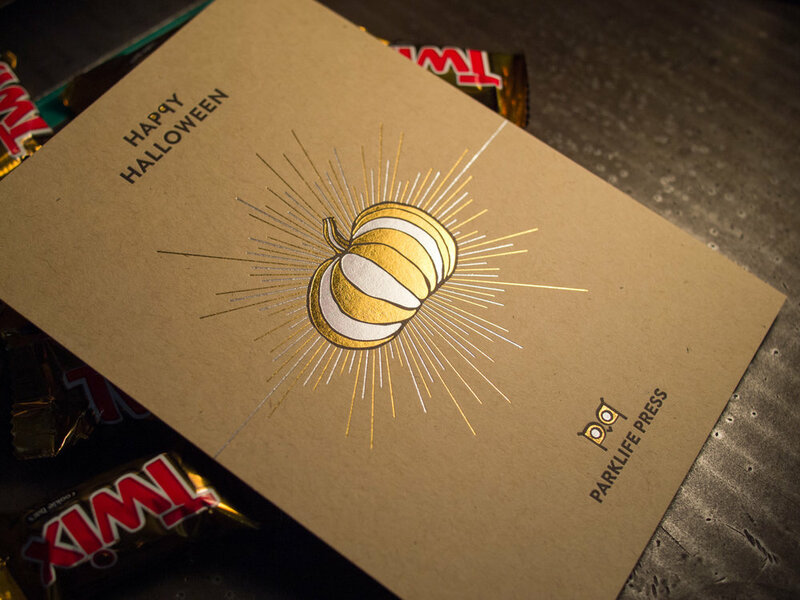 This year's Parklife Halloween card features black ink plus two shades of foil on a duplexed sheet: French Paper Speckletone Kraft for the front and Kraft-Tone Ledger Green for the back. Oh yeah, there's a discount too. 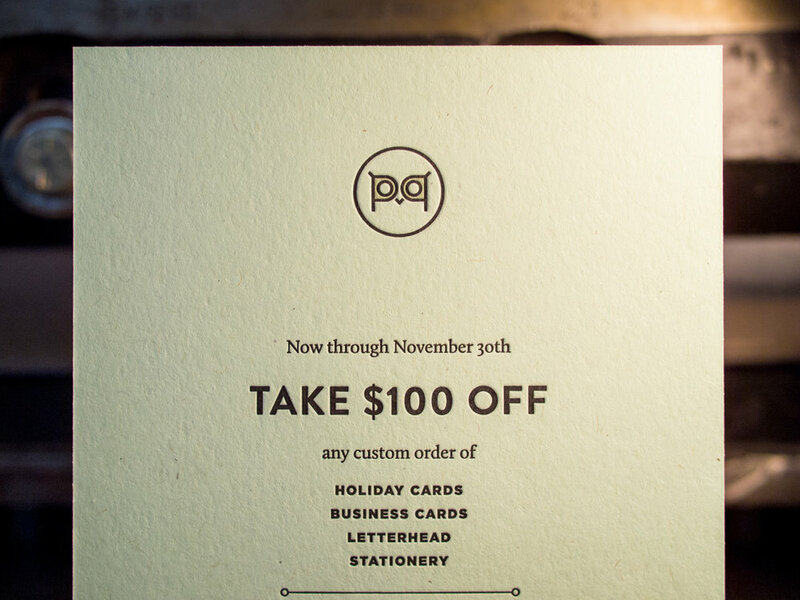 Just mention this post between now and the end of November to get $100 off an order of holiday cards, business cards, letterhead, or stationery. Hard to compete with last year's card — but I'd say we came pretty close. 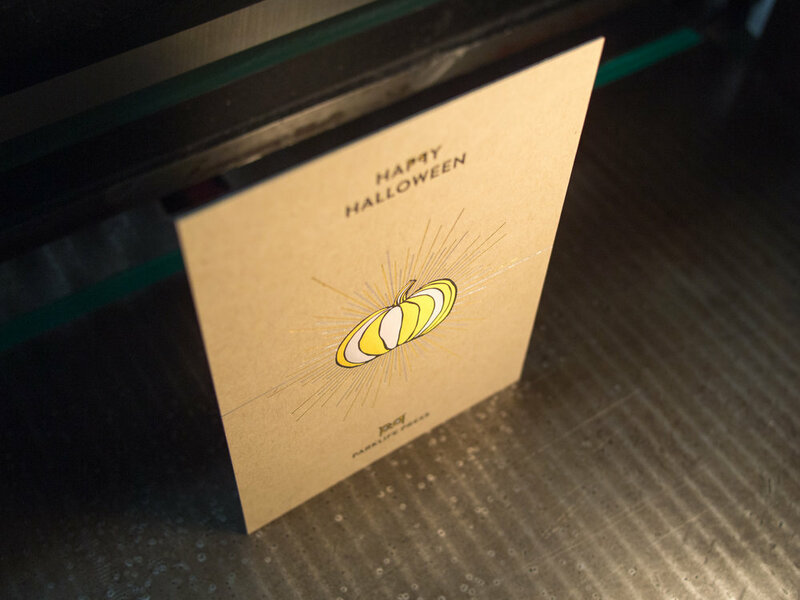 Posted in holiday cards and tagged with halloween, duplex, French Paper, speckletone kraft, kraft-tone, black, foil, gold foil, silver foil, pumpkin, discount, coupon. October 31, 2016 by Travis Friedrich. We love type-only designs. This one's got a simple monogram in Italic Garamond along with text in Neutra Light and Sloop Script. 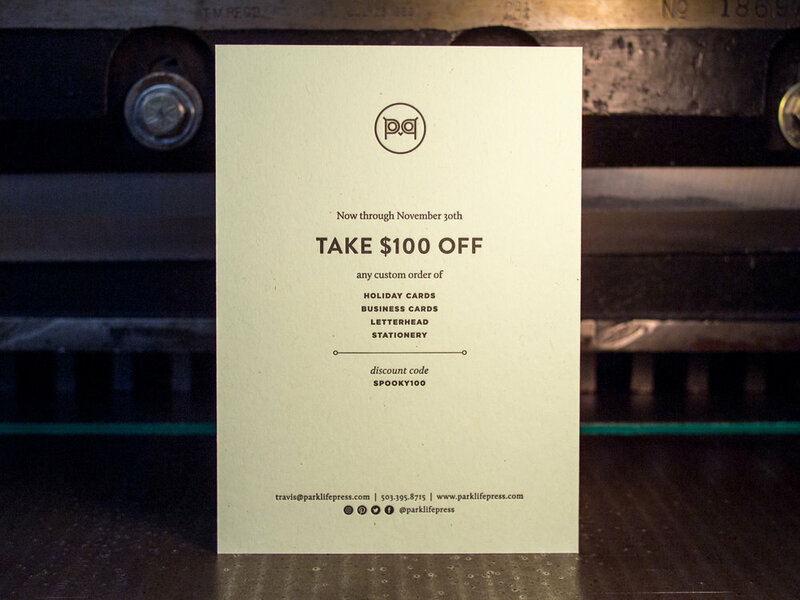 We used a custom paper -- two sheets of Dark Gray 350g Colorplan duplexed to create a nice, thick 700g stock. The card was printed with silver foil, finished with silver edge paint, and paired with a pearl white cotton envelope. Posted in wedding invitations and tagged with foil stamp, silver, silver foil, monogram, edge painting, duplex, dark gray, colorplan, pearl white. June 25, 2015 by Travis Friedrich.